NYCC is in full affect, and the big event is bringing more movies to the Javits center than we saw this summer during San Diego Comic Con. Saturday promises to be a huge day for fans, as Lionsgate unleashes a first look at their anticipated Keanu Reeves sequel John Wick Chapter 2. But perhaps even more exciting is the promotional launch of their Power Rangers reboot, with a the first trailer looming in the near distance. To get everyone pumped, the studio has debuted a series of 5 new character posters. And they're pretty great. That is, if you like the look of these new Power Rangers. The power suits are in full effect and on full display as Lionsgate utilizes the iconic 'Go Go' catch phrase. Saban's Power Rangers follows five ordinary high school kids who must become something extraordinary when they learn that their small town of Angel Grove - and the world - is on the verge of being obliterated by an alien threat. Chosen by destiny, our heroes quickly discover that they are the only ones who can save the planet. But to do so they will have to overcome their real-life issues and band together as the Power Rangers before it is too late. Lionsgate will host a power-packed panel that will feature the stars and filmmakers from the highly anticipated feature films John Wick: Chapter 2 and Saban's Power Rangers during New York Comic Con on Saturday, October 8. Fans attending the hour-long panel will be treated to Q&A sessions with the cast and producers of Saban's Power Rangers and John Wick: Chapter 2, as well as exclusive, never-before-seen footage from both films. Those who cannot attend will be able to watch the panel LIVE on Twitch. It hasn't been confirmed which cast members will be in attendance for this panel quite yet. The panel will take place at The Theater at Madison Square Garden Saturday, October 8 at 2:00 PM. Aside from the concept art that leaked last year, it was confirmed in July by director Dean Israelite that this new movie will bring back the Dinozords and Alpha 5, the robotic assistant to Bryan Cranston's Zordon. It isn't known if the Dinozords or Zordon will finally be revealed in the first footage that is showcased at New York Comic Con next month. 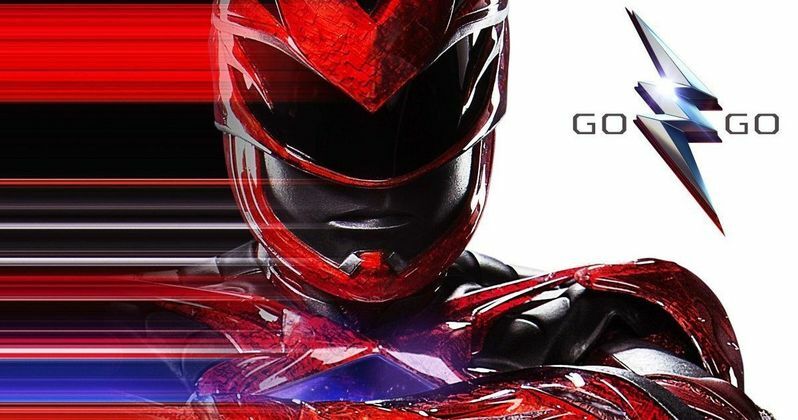 The cast is lead by Dacre Montgomery (Jason the Red Ranger), Naomi Scott (Kimberley the Pink Ranger), RJ Cyler (Billy the Blue Ranger), Ludi Lin (Zach the Black Ranger) and Becky G (Trini the Yellow Ranger), alongside Elizabeth Banks as the villainous Rita Repulsa. Lionsgate has set a March 24, 2017 release date for Power Rangers, putting it up against Warner Bros.' King Arthur: Legend of the Sword. Take a look at the latest posters courtesy of Lionsgate.